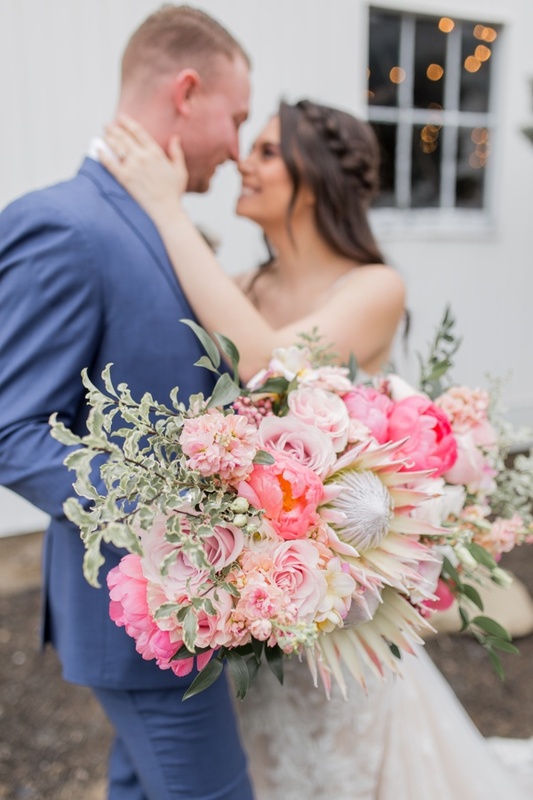 Fabulous bridal bouquet at The Marian in Kentucky with Bethany Lane Photography and KMC Weddings. Styled by The Gracious Company. Gown by BoChic Bridal Boutique.